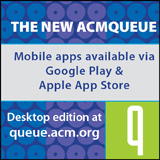 Welcome to the May 12, 2017 edition of ACM TechNews, providing timely information for IT professionals three times a week. The challenge of understanding drivers' behavior and the quirks of local traffic means the use of autonomous vehicles on public roads will be constrained for many years. Experts say teaching self-driving cars to use such knowledge requires vast datasets and currently unaffordable computing power. "There's an endless list of these cases where we as humans know the context, we know when to bend the rules and when to break the rules," says Carnegie Mellon University professor Raj Rajkumar. 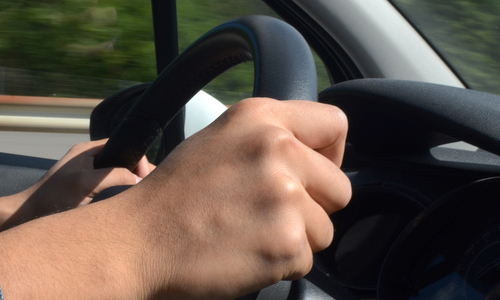 In addition to variable driving customs and road conditions worldwide, autonomous cars will need to consider aggressive human drivers and driver error. However, Intel's Kathy Winter is optimistic that auto and tech firms will contribute sensor-derived information to a massive database, to be accessed by artificial intelligence programs to make driving decisions. Winter predicts autonomous cars will be able to see and think like humans before 2030. Scientists pursuing advanced artificial intelligence (AI) systems are using video games to train these systems to understand the real world better, as well as to break down intelligence into more manageable chunks and devise a definitive AI hypothesis. Game companies are responding to this interest, with Microsoft launching its Project Malmo AI-development platform in 2015 to realize effective AI-human collaboration using the Minecraft world-building game. Meanwhile, Google's DeepMind unit has trained an artificial neural network to play dozens of vintage Atari games, with the aim of applying such curiosity- and rewards-driven knowledge to more advanced tasks such as raising the energy efficiency of datacenters. Games also are helping research into machine-to-machine transfer learning, and finding an underlying theory for building AI. Some researchers think video games can streamline the process of investigating embodied cognition, the hypothesis that experiential learning is the key to establishing intelligence within a computer program. Researchers at the Technical University of Madrid (UPM) in Spain and the University of Florence in Italy are developing an autonomous underwater vehicle equipped with biosensors to monitor water quality. The robot, which mimics a swimming fish in order to minimize the disturbance to the natural ecosystem, can detect in-situ real-time anomalies to control environmental conditions in fish farms. 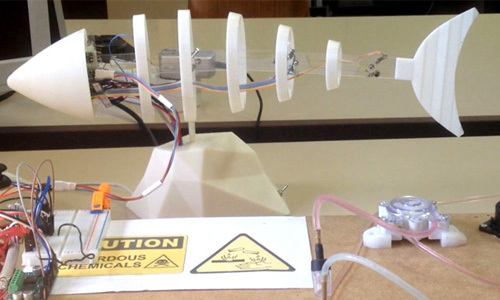 In addition, the robotic fish can modify the way it swims according to the water conditions that, for example, can enable it to detect and highlight the areas of concentration. Since water acidity directly affects other indicators of both water quality and fish health, the researchers also developed a special electrochemical pH sensor. "Thanks to this system that provides early information on environmental change, we can control the parameters of water quality and improve management decisions of fish farms and, consequently, the wellness of these animals," says UPM's Claudio Rossi. Researchers at Middlesex University London in the U.K. have developed VALCRI, a computer system that can piece together what might have happened at a crime scene. The team says VALCRI will be able to complete the laborious aspects of a crime analyst's job in seconds, freeing the investigators to focus on the case while also provoking new lines of inquiry and possible narratives that may have been missed. VALCRI scans millions of police records, interviews, pictures, videos, and other materials to identify connections it thinks are relevant. The system uses machine learning to improve its searches on the basis of such interactions with analysts, who can raise or lower the importance of different sets of criteria. West Midlands Police in the U.K. are currently testing VALCRI with three years' worth of real but anonymized data, totaling about 6.5 million records. 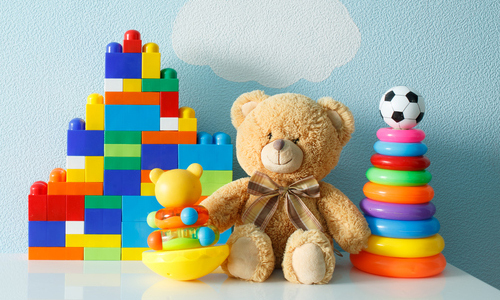 A new study by University of Washington (UW) researchers points to anxieties about the potential for Wi-Fi-enabled Internet-connected toys to infringe on children's privacy. Their work was presented this week at the ACM Conference on Human Factors in Computing Systems (CHI 2017) in Denver, CO. Most of the study's child participants were unaware the toys were recording their conversations. "The toys are a social agent where you might feel compelled to disclose things that you wouldn't otherwise to a computer or cellphone," says UW professor Maya Cakmak. The study also found most parents were worried about their child's privacy when engaging with such devices, and they expressed a universal desire for parental controls. Among the researchers' recommendations for toy designers are incorporating a more human-like way for the toys to alert children when they are recording, and either deleting recordings after a week or letting parents delete them permanently. Researchers at the Massachusetts Institute of Technology's Computer Science and Artificial Intelligence Laboratory have developed C-LEARN, a system designed to enable non-coders to educate robots in a range of tasks by supplying some information about how objects are usually manipulated and then showing the robot a single demonstration. C-LEARN lets users teach robots skills that can be automatically passed on to other robots that move in different ways. The user first provides the robot with a knowledge base of information on how to reach and grip various objects with different constraints. The operator then employs a three-dimensional interface to show the robot a single demonstration of the task, represented by a series of "keyframe" movements. Matching these keyframes to the different situations in the knowledge base enables the robot to automatically suggest motion plans for the operator to approve or change as needed. Researchers at Carnegie Mellon University and the University of Chicago have developed a password meter they say offers real-time feedback and advice to help users create better passwords. The meter works by employing an artificial neural network, which learns by scanning millions of existing passwords and identifying trends. If the meter detects a characteristic in the password that it knows attackers may guess, it will alert the user. "The key result is that providing the data-driven feedback actually makes a huge difference in security compared to just having a password labeled as weak or strong," says University of Chicago professor Blase Ur. "Our new meter led users to create stronger passwords that were no harder to remember than passwords created without the feedback." The study was presented this week at the ACM Conference on Human Factors in Computing Systems (CHI 2017) in Denver, CO. 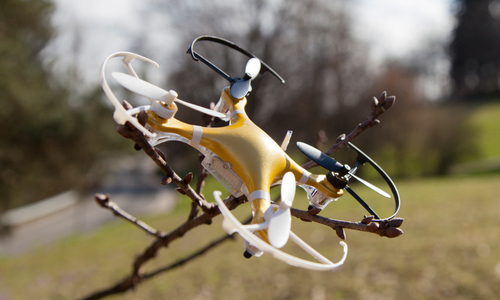 Researchers at Carnegie Mellon University recently conducted an experiment that involved letting an aerial drone purposefully crash into objects. The researchers used this negative flying data in conjunction with positive data sampled from the same trajectories to learn more about unmanned aerial vehicle navigation. The team let an AR Drone 2.0 fly in 20 different indoor environments, amassing 11,500 collisions over the course of 40 hours of flying time. Once a collision happens, the images from the trajectory are divided into two parts--one in which the drone was flying along unimpeded, and another just before the drone crashes. The two sets of images are fed into a deep convolutional neural network, which produces an algorithm for flying the drone autonomously. The researchers note the algorithm can fly the drone even in narrow, cluttered environments, around moving obstacles, and in the middle of featureless white walls and glass doors. Researchers have found that just having a few autonomous vehicles on the road can significantly reduce traffic congestion, lower accident risk, and boost fuel efficiency. "With as few as 5 percent of vehicles being automated and carefully controlled, we can eliminate stop-and-go waves caused by human driving behavior," says University of Illinois at Urbana-Champaign professor Daniel B. Work. The researchers, funded by the U.S. National Science Foundation's Cyber-Physical Systems program, controlled the pace of a self-driving car in experiments that also involved at least 20 human-driven vehicles. The team successfully smoothed out the traffic flow for all the cars, removing "phantom traffic jams." The research suggests currently available technology such as adaptive cruise control has the power to reduce congestion even before there are large numbers of autonomous vehicles deployed. "Increased levels of autonomy in human-driven vehicles is in the near future," notes Rutgers University professor Benedetto Piccoli. Dartmouth College researchers have replicated sections of popular, outdoor rock climbing routes on an indoor climbing wall using three-dimensional (3D) modeling, digital fabrication, and other techniques. The researchers say their study demonstrates how these technologies can be used to reproduce large-scale environments by considering how users interact with such sites. The researchers replicated the climbing routes by creating 3D reconstructions of the rock walls using multi-view stereo. In addition, the researchers shot reference video of the climber's ascent to capture where they supported their body to estimate skeletal poses. 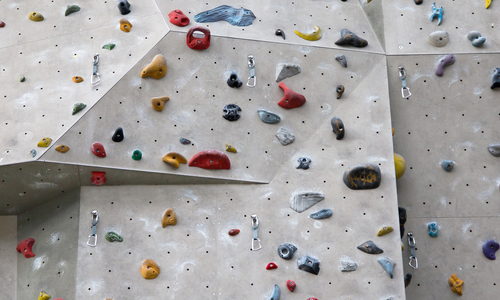 The researchers then used rapid prototyping, and molding and casting techniques, to create climbing holds similar to those found at indoor climbing gyms. They say their study could led to future work in environment-scale fabrication. The research was presented this week at the ACM Conference on Human Factors in Computing Systems (CHI 2017) in Denver, CO. Researchers at Michigan Technological University (Michigan Tech) presented their work on virtual reality (VR) text input using head-mounted displays this week at the Conference on Human Factors in Computer Systems (CHI 2017) in Denver, CO. Michigan Tech professor Scott Kuhl says most commercial head-mounted displays are used for video gaming, while VR typing requires both visual and tactile feedback. Michigan Tech's James Walker developed a virtual keyboard that operates in sync with an actual keyboard so a VR typist can see in the head-mounted display the keys they typed on the physical keyboard. The physical keyboard is used in combination with a light-up virtual display and an autocorrect algorithm, and tests showed error rates fell as people continued typing with the tactile feedback, and the model corrected about 66 percent of text errors. The team is planning to support the entry of numbers, punctuation, and capitals, and enable text editing. Researchers at the Illinois Institute of Technology (IIT) have used the Chameleon cloud testbed to accelerate development of their portable Hadoop (PortHadoop) reader tool to transfer data directly from parallel file systems to Hadoop's memory instead of copying from disk to disk. "Virtual blocks" map data from the file systems into Hadoop's memory, generating a virtual HDFS memory, says IIT professor Xian-He Sun. Chameleon helped PortHadoop's developers overcome the U.S. National Aeronautics and Space Administration (NASA) production environment's inability to permit testing and development on its live data. Sun says Chameleon enabled his team to support two distinct environments, each on an independent cluster of the bare-metal system to emulate the NASA environment. The NASA Cloud library employs the PortHadoop-R extension as part of its MapReduce analytics. "The ultimate goal is to generate a core cloud library that is dynamic and interactive with the user," says NASA's Wei-Kuo Tao. Google chief Internet evangelist Vint Cerf, who shared the 2004 ACM A.M. Turing Award with Robert E. Kahn, told attendees at a recent technology summit that modern artificial intelligence (AI) systems are only as smart as the people who interact with them, and he warned AIs can learn bad behaviors if they engage with bad actors. Cerf also discussed the potentially dangerous ramifications of the Internet of Things for the U.S. military. He said the military faces far more serious security risks than the general public in its heavy use of Internet-connected devices that could number in the billions in only a few years. Cerf said a lack of constant security will enable criminals to exploit seemingly harmless data to steal far more sensitive information. He also is concerned about incorporating numerous sensors into military equipment. "Some devices last for decades, who is going to maintain that software 30 or 40 years?" Cerf asked.